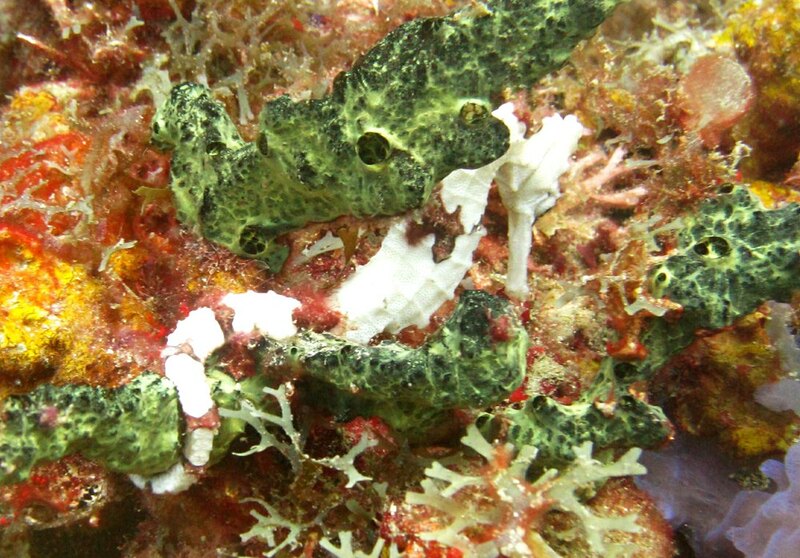 The find of the trip: a white Longsnout sea horse (Hippocampus reidi) at Flamingo Bay, about 10cm long. 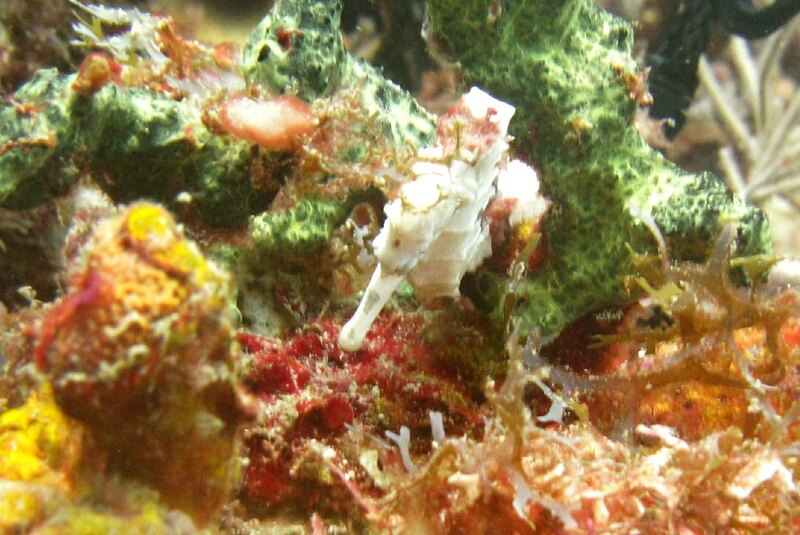 To find a sea horse at all is an event, but white ones are really rare. Hurrah! The same sea horse, viewed from above. 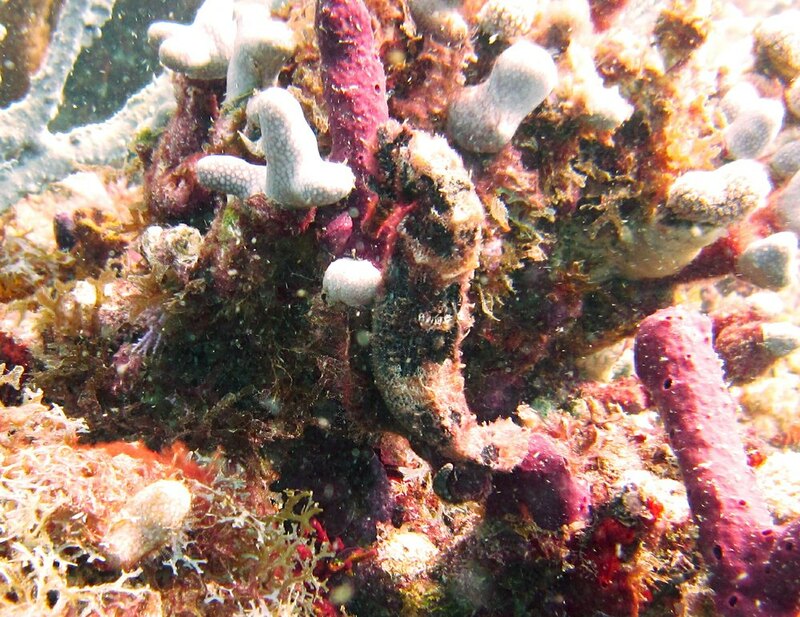 And if that wasn't enough, there was another sea horse a few yards away! 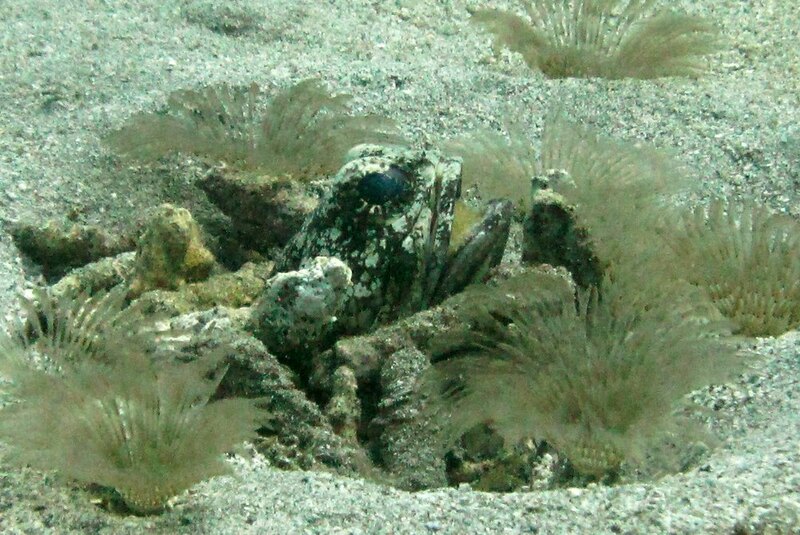 And to cap it all, on the same dive we came across a couple of Jawfish (Opistognathus sp). The males incubate their eggs in their mouths - you can just make out the eggs in its mouth here. Wow! 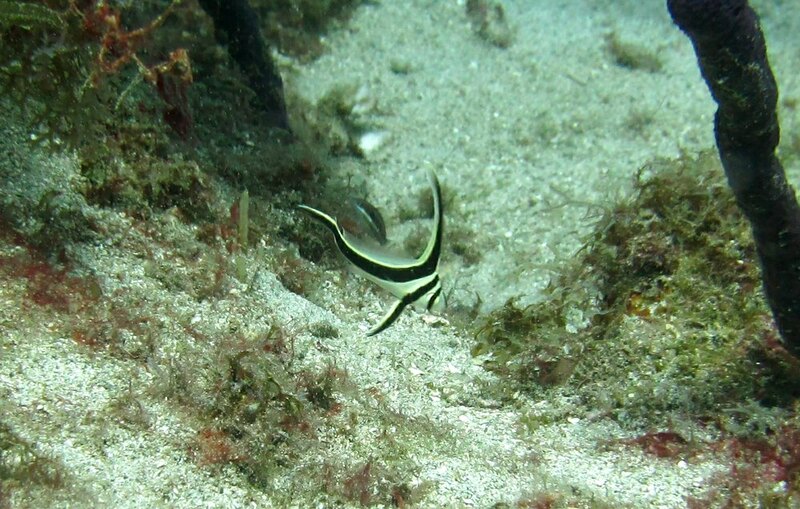 A juvenile Jacknifefish (Equitus lanceolatus) at the terrific Flamingo Bay dive site in the Marine Protected Area north of St George's. 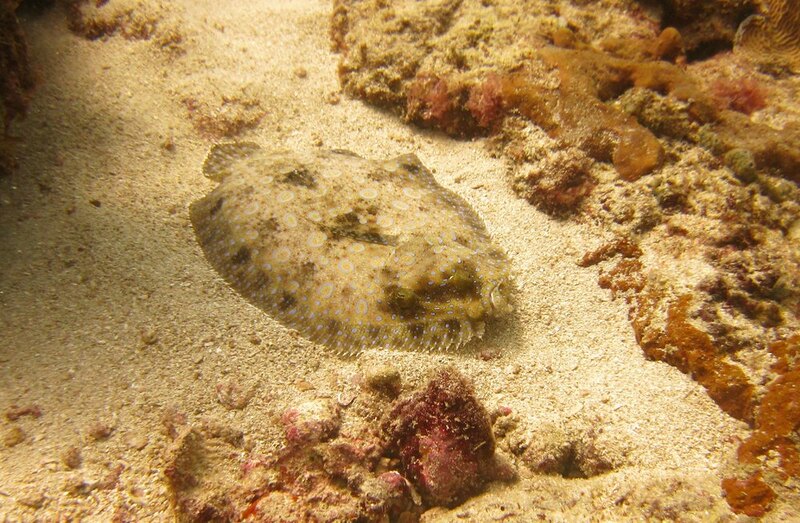 Hawk-eyed dive leader Chris spotted this Eyed flounder (Bothus ocellatus) at Flamingo Bay, and gently prods it with his watch strap to persuade it to move, otherwise we'd never have made it out. My reference book says they are "capable of remarkable colour changes in order to match the bottom". 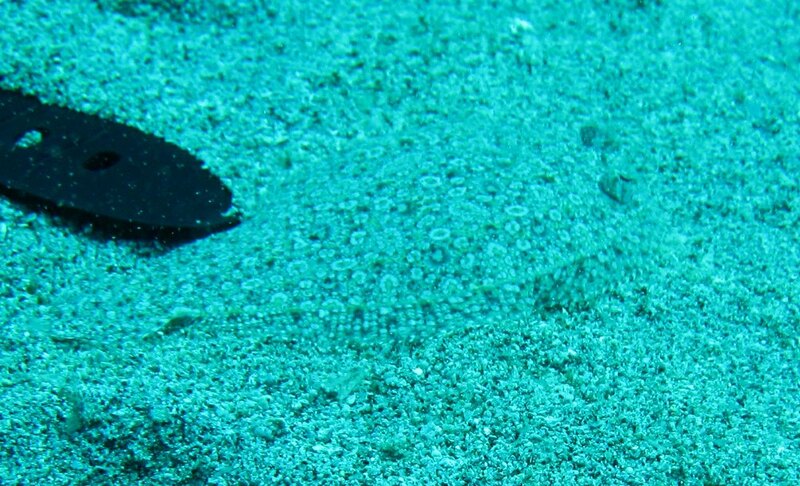 Another flounder, this time a Peacock Flounder (Bothus lunatus) at Shark Reef. 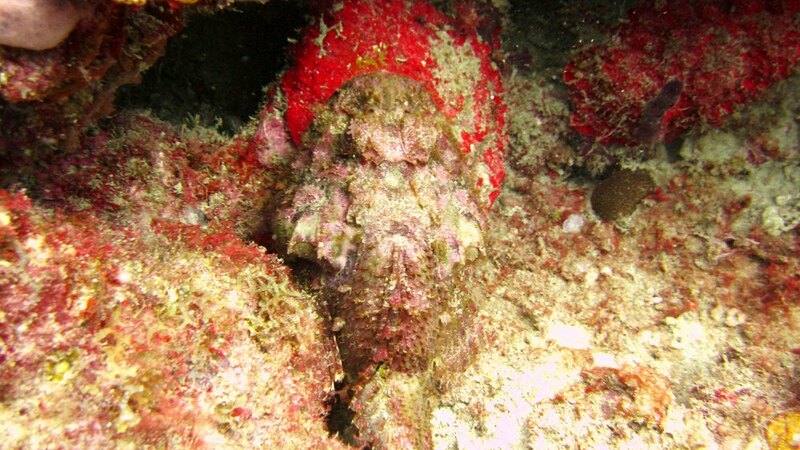 More camouflage: a Scorpionfish (Scorpaena sp) at Whibbles Reef. 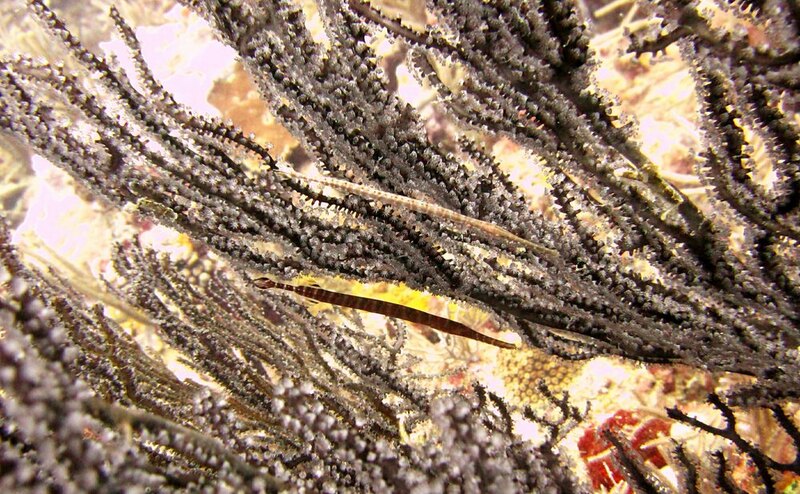 Tiny Harlequin pipefish (Micrognathus vittatus), just 15cm long, typically in amongst coral fans, at Whibbles Reef. 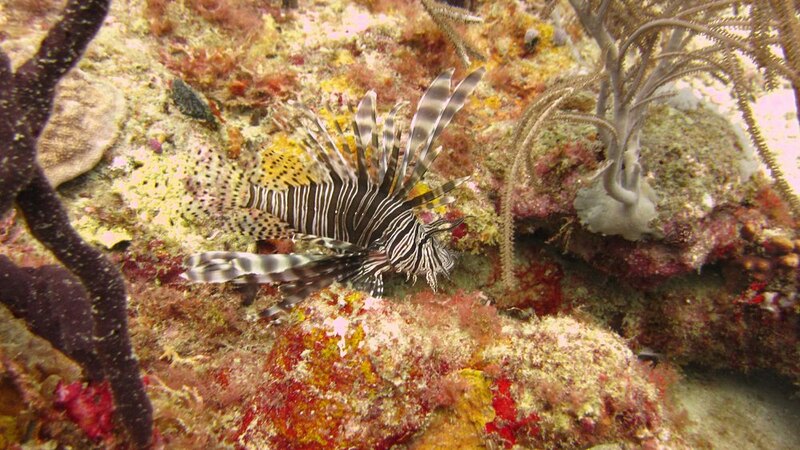 There were several of the invasive Lionfish (Pterois volitans) at Whibbles Reef. 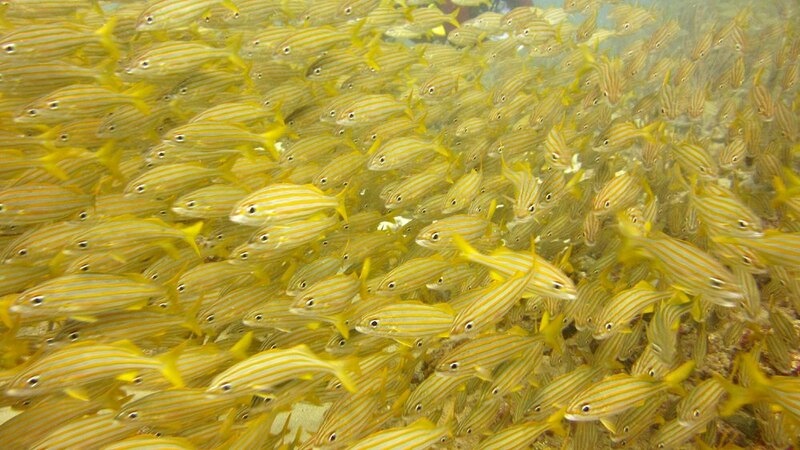 There were huge schools of French Grunts (Haemulon flavolineatum) at Shark Reef. 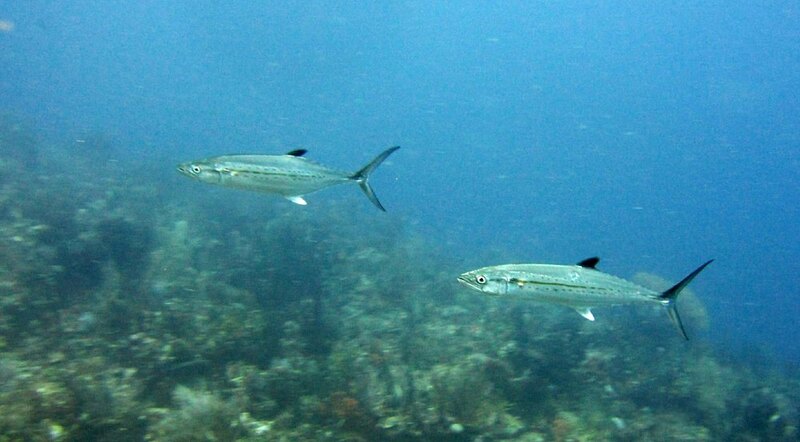 Tuna (Scomberomorus sp?) of some sort at Purple Rain.